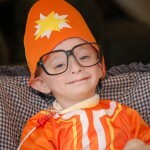 Our Annual Halloween Costume Contest was established in 2011 to promote awareness and provide support to children and families diagnosed with Wolf-Hirschhorn Syndrome. 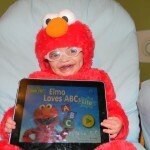 Each year, we celebrate their addition to our lives by sharing their happiness and Halloween costumes to a greater audience. This year, the 2013 Halloween Costume Contest will be named the “WHS Punkin Patch”, a fundraising event that will bring people together and provide them the opportunity to get to know our kids and to share Wolf-Hirschhorn syndrome with the world. Our children overcome, endure, transform, and love beyond our greatest imagination. Each Punkin photo brings hope, perseverance and inspiration. Traditionally, we stage this event as a contest, driven by voting. This year, instead of voting, we’ve created a 2nd (ran one earlier this year with great success) t-shirt campaign for our supporters, working to promote the awareness of Wolf-Hirschhorn Syndrome. As with all of our fund raising events, all of the proceeds will be given to our children in the form of prizes. Each year, our goal is a little different, and this year our goal will be to give every Punkin in our Patch a prize!. Take a peek and make sure your child has been diagnosed with 4p-/Wolf-Hirschhorn syndrome! (Contest is only for children with WHS). Make sure you live in the USA or Canada, or can get a shipment to a United States address. If you don’t live in the United States but want to share your Punkin, please forward it on to us anyway! 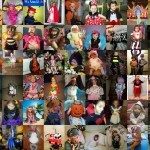 Get your child all dressed up and take an awesome picture of them in their costume. Submit your Punkin’s Pic via EMAIL, with their name and address to janet@wolfhirschhorn.org by end of the day Saturday, November 9. Keep in mind that your child’s picture will be shared and/or posted on social media and wolfhirschhorn.org. Your submission to us gives us permission to share the picture for this awareness event. Once the deadline of November 9 this upon us, we will open a sharing campaign that will encourage people to buy a “new” Wolf-Hirschhorn t-shirt for a child and for family members. Your sharing will be important because this is all about awareness! The proceeds from the t-shirt purchases will be collected and larger prizes will be awarded based on random drawings. In the past, we only gave away iPads, but this year, we will be mixing things up a bit to try and make sure everyone wins! Remember, encouraging fund raising for your Punkins is what this is all about. Make sure you get us your picture in time! Your child must be entered to be eligible. Are you Ready to Win an iPad? Does the t-shirt look like the small picture above? If so, I love it! To share your story, create your LOGIN and sign in once you receive your password via email. After logging in, write your story, upload pictures and publish your story! It's that easy. If you would like to comment on our stories, you can comment without creating a login. Each comment is posted once approved. If you need help, please email us. In 2007, a WHS growth chart was created. Download the Wolf-Hirschhorn Syndrome Growth Chart here. Become an author and tell your story. Create a new account by requesting an account HERE. If you have further questions, contact Kevin. © 2013 wolfhirschhorn.org Powered by echogravity.